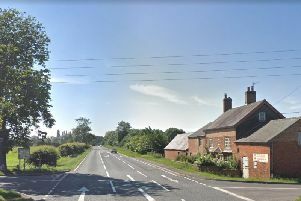 A man is in a critical condition after a single-vehicle crash near Monks Kirby last night (Wednesday). The crash occurred at around 11.45pm in Mere Lane. A 34-year-old man, who is believed to be the driver of the vehicle, was taken to hospital by paramedics where he is in a critical condition. Sergeant Leanne Mason, Warwickshire Police Operational Patrol Unit, said: "We need to speak to anyone who was in the area at the time and saw the collision or saw the car in the moments leading up to the incident. "Anyone with information can contact us on 101 quoting incident 463 of 28 March 2018."